Extrasolar 'Earths' are still in the news, for a fairly loose definition of 'Earth'. Thanks to the Kepler mission the news stream of 'Earths' is likely to continue. Upwards of 200 candidates have been identified, most of which will probably not turn out to be false positives. Surely some of the not-false-positives will orbit within their parent stars' habitable zones, calling for more detailed investigation. We will then search for signs of atmospheric water vapor, and especially oxygen - a substance so unstable and corrosive that its presence in significant quantities probably indicates life, and complex life at that. Meanwhile, last post's comment thread drifted to a familiar topic in these parts: permanent, large scale human habitation in space. The 'large scale' part, especially, tends to pushes this subject beyond the Plausible Midfuture, which will have its work cut out producing a 'substantial' human population in space. Set aside the question of why - other than sheer coolness - we would colonize space at all. Also set aside, for now, those niggly questions about affording it. 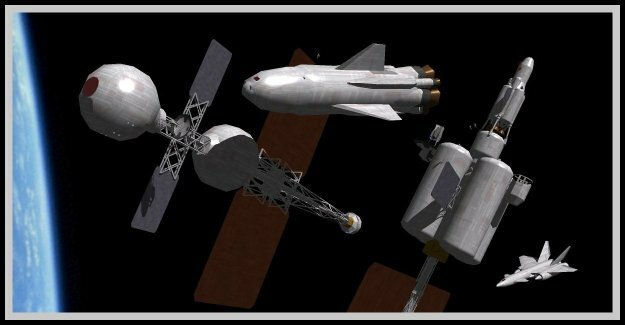 An important, under-discussed aspect of space habitats is whether most humans can readily adapt to living in a can - and, if so, how big a can it takes. This issue was first pointed out to me in an email exchange with Matt Picio, a longtime regular at SFConsim-l. It came up again in the last discussion thread. Putting it a more immediate way, how long can we be comfortable with never going outdoors? And what qualifies psychologically as being outdoors? We already know something about this without having to go into space, as the phrase 'cabin fever' suggests. Experience with nuclear submarines provides a baseline; so does over-winter habitation in Antarctica. But these habitats are on the same order of size as ordinary ships and buildings. Space habs, intended for long-term occupation, are generally imagined to be at least an order of magnitude larger in sheer size, and an order of magnitude less cramped for their occupants. We do not have any examples on this scale to go by. In popular imagination there are supposed to be Manhattanites who have no interest in riding the subway to the outer boroughs, let alone visiting the Big Sky Country. (They may or may not exist in any significant numbers.) But Manhattan is not an enclosed can - even its canyon streets are open to the sky. If Manhattan were domed over, would Central Park still feel like a park, or merely an indoor garden? The question may not be purely a matter of (habitable!) physical space. Parallax depth from our binocular vision becomes 'infinity' at a few hundred meters; other cues (perspective; haze or lack of) can extend this to kilometers. My subjective impression is that mountain cabins on valleys less than a km or two wide feel confined. Other factors both physiological and psychological could come into play. How rich an ecosystem is required for a healthy variety of smells and sounds? Does it matter whether we are talking about an O'Neill-esque spacehab or a domed hab on a planetary surface? Does it count as 'going outside' if you have to stay in a vehicle or put on a spacesuit? I have also noticed, during long train rides, that in spite of the spectacular view from the dome car the impulse to step out of the train during station stops becomes very strong. Presumably these concerns would not arise on a habitable planet, whether naturally so or terraformed. (But can we be completely sure of this?) And they may not matter for gigastructures approaching planetary dimensions, with rich ecosystems to match, and means other than domes or bulkheads to hold in the air. But the overall point is that long-term human habitability may involve constraints going well beyond those that apply to spaceships that reach their destinations in a few months. This image of the recent lunar eclipse above the Rocky Mountains comes, as so often, from Astronomy Picture of the Day. 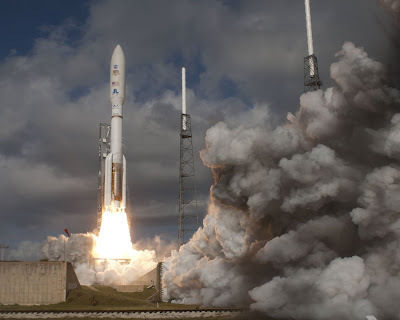 And a link to Atomic Rockets, just on general principles. 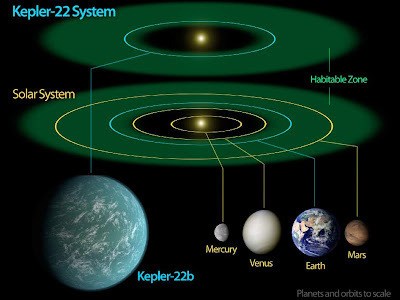 For your entertainment and edification, a short note on Kepler-22b, the exoplanet that has caused a flurry of 'habitable planet' stories in the mass media. Is it actually habitable? The short and accurate answer is that we don't know. All we really know directly about Kepler-22b are its orbital period and size. But the first of these - not quite 290 days - yields an average orbital distance (semi-major axis) of 0.849 AU. In the Solar System that would fall close to midway between Venus and Earth. The G5 parent star, however, is a shade smaller, cooler, and dimmer than Sol. 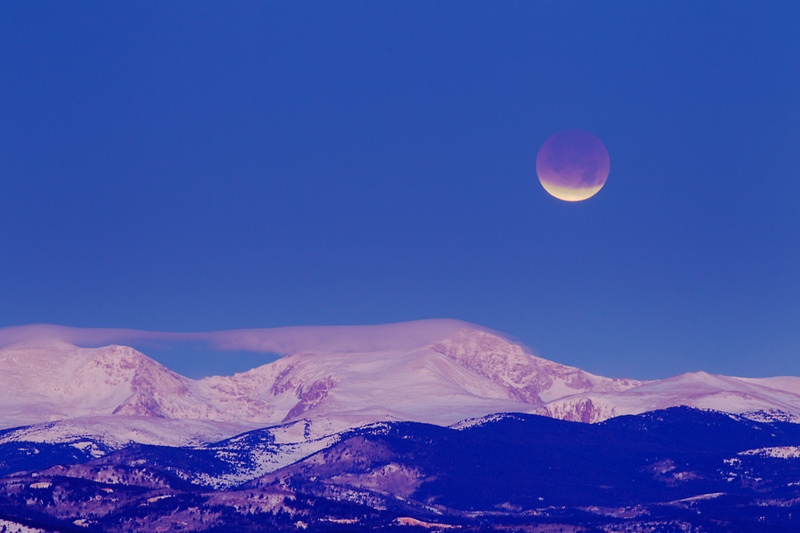 Its estimated luminosity is 0.79 solar, meaning that the planet, at its average distance, receives just about 10 percent more light - and therefore heat - than Earth does. The planet must shed that heat by radiation, and a quick-and-dirty temperature estimate, based on the 4th power law of radiation to temperature, makes it 2.3 percent warmer than Earth - about six or seven degrees C.
In fact, the paper announcing the discovery comes up with an equilibrium temperature of 262 K for Kepler-22b, as compared to 255 K for Earth. Radiative equilibrium is only a starting point for planetary conditions. How much heat a planet actually absorbs depends on how much light is reflected, or its albedo (0.29 for Earth). And its radiative temperature, in the IR, is measured at the top of any greenhouse layer in the atmosphere. The radiative equilibrium temperature is only a starting point. But - assuming similar albedo and greenhouse heating to Earth - the surface temperature would also be a few degrees warmer than Earth. Which is easily inside the habitable range. Pause here to note that most of what makes global warming problematic for our civilization is abrupt change in climate, not a somewhat warmer climate per se. An Earthlike planet with stifling tropics but mild subarctic zones would still be eminently habitable for humans. Now for the caveats. For one, in spite of the cool illustration above (via Sky & Telescope) we do not know Kepler-22b's orbital eccentricity. Most extrasolar planets, unless so close in that their orbits have been tidally circularized, have notably more eccentric orbits than Earth does; this one could be searing hot at periastron, freezing cold at apoastron. And we do know Kepler-22's size, 2.38 Earth radii, so it cannot really be very Earthlike at all. The radius corresponds to a volume 13.5 times Earth's. If it is primarily rocky its mass is proportional, with surface gravity well above 2g. On the other hand it could be a 'water giant,' with roughly earth-sized rocky core and a hydrosphere thousands of miles deep. Ocean is far too weak a term. Earthlike it is not, whatever its composition. But it is hard not to speculate. Suppose that a rocky core has a radius of 1.38 x Earth's (and probably a bit denser), with a hydrosphere above. Planetary mass is then close to 5 Earth masses. Surface gravity is about 0.9 g, and low-orbit velocity is around 11 km/s - similar to Earth's escape velocity. Getting back off after 'landing' on the hydrosphere would be tough, but not as tough as getting there in the first place, since it is 600 light years away. 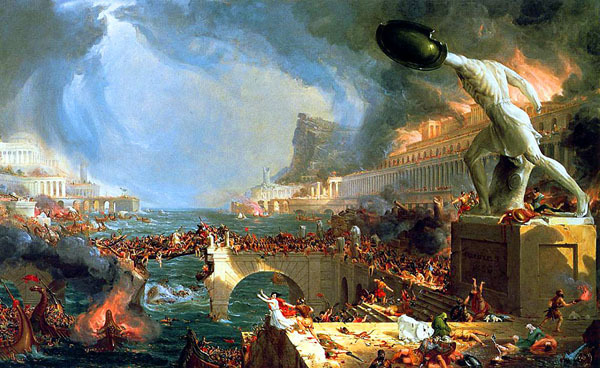 Bonus science destructiveness news: Thanks to regular commenter 'Thucydides,' five cataclysmic events to think about. Mostly this is not much of a fight. These two subgenres of Romance happily coexist (along with horror) in the same section of the bookstore. It is only by coincidence that I bring this up right after the death of Anne McCaffrey, whose Pern setting amounted (IIRC) to a fantasy setting framed within a mostly offstage SF setting. Exactly how SF and F are to be distinguished from one another is a vexed, long-discussed issue, and now we are going to vex it some more. I have tended to favor the robust if simplistic rule that if it has a spaceship it is SF, if it has a sword it is fantasy, and if it has both it is science fantasy. Which works pretty well as practical guidance, but of course there is more to it than that. Several attempts have been made to 'rationalize' fantasy settings, giving them an SF infrastructure. The ones I have read - notably by Niven and L Sprague de Camp - have tended to clunk. They had no magic, in the literary sense. Explaining magic takes the art out of it, and does what a lecture on nutrition does to a fine meal. The Pern book likely avoided this problem by putting the SF frame on the shelf and reading like traditional fantasy. Another interesting line of argument contrasts the political undertones of SF and fantasy - the former tending to be broadly liberal, the latter deeply hierarchical and essentially reactionary. I introduce this point in a mealymouthed way because my monkey's google fu is weak. Just a few weeks ago I read an essay or blog post making this point. It was by a pretty well known SF writer, but I can't remember his name, and searching has failed to turn it up. Suggestions by the hive mind would be welcome! This argument's logic and examples are impeccable, but I can't entirely buy it - and can't entirely put my finger on why I don't quite buy it. It is true that 'traditional' fantasy (as distinct from urban fantasy and the like) is backward-looking, rooted in the social conditions of the agrarian age, while SF looks forward to a post-industrial age. Is it simply that the Scouring of the Shire is so cool? I've read a revisionist version (which seemed distinct from the one linked - once again reports from the hive mind are welcome), but the Scouring was still cool. The political interpretation of genre makes for an easy segue to fretting over what has happened to SF/F since their bookstore pairing became the norm, by around 1970. Swords have done better than spaceships, with fantasy becoming considerably the larger of the two genres, as measured by book production and sales. By further (non-?) coincidence all this happened at just about the same time that space travel became a reality - and turned out to be so difficult and costly as to make the classical SF space future look somewhat ... fantastic. Indeed, much of the modern-era growth in SF itself has been in quasi-fantasy directions, notably including retro-SF that looks as firmly backward as traditional fantasy, if not quite as far. The flip side may be urban fantasy, bringing fantasy tropes into the post-industrial era. Yet in spite of the controversies and stereotypes, the two genres do coexist pretty well, to the point where I can more or less take for granted that readers here will be familiar with fantasy tropes. The similarities are, in the end, more consequential than the differences, and more central to the great Romance genre to which they both belong. The image, besides being entertainingly lurid, illustrates a theme common to SF and fantasy, and provides an excuse to link the page at Atomic Rockets where I found it. A discussion of SF and Fantasy is pending here, but in the meanwhile, a little weekend science news. According to the Voyager website at NASA, Voyager 1 is currently nearly 120 AU from Earth - 119.862 AU, to throw in a few extra decimal places. (Follow the link to see a real-time distance updating.) Its distance from the Sun is just over 119 AU, a more relevant measure - the distance from Earth will actually shrink during by next (northern hemisphere) summer, when Earth swings around to the same side of the Sun as Voyager. Voyager 2 is a slightly more modest 97 AU from the Sun. Pioneer 10, which lost contact with Earth a few years ago, is at a similar distance. We grump about human spaceflight a lot around here, but stop to think about the fact that a human-built spacecraft is now nearly 120 AU from the Sun - still in operating condition, still investigating the heavens. Meanwhile the Mars Science Laboratory mission, including the rover Curiosity, is on its way to Mars. The image above, from Astronomy Picture of the Day (APOD), shows its launch. Not on its way to the inner moon of Mars, sad to say, is Phobos-Grunt, which fell out of contact on entering Earth parking orbit. Mars has a remarkable history of eating space missions. According to Wikipedia, Russian engineers still have some faint hope of establishing contact and perhaps even sending the spacecraft to a near-Earth asteroid. Otherwise, RIP. In spite of setbacks, the exploration of the Solar System (and its environs) continues.